BISMARCK, N.D. — For 75 years, science has been the cornerstone of Delta Waterfowl. 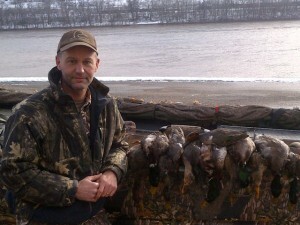 Research shapes the conservation programs and management policies that help put more ducks in the air, year after year. SPRINGFIELD, Mo. (May 28, 2013) —Conserving wildlife and the lands that house what we all enjoy are of the utmost importance. 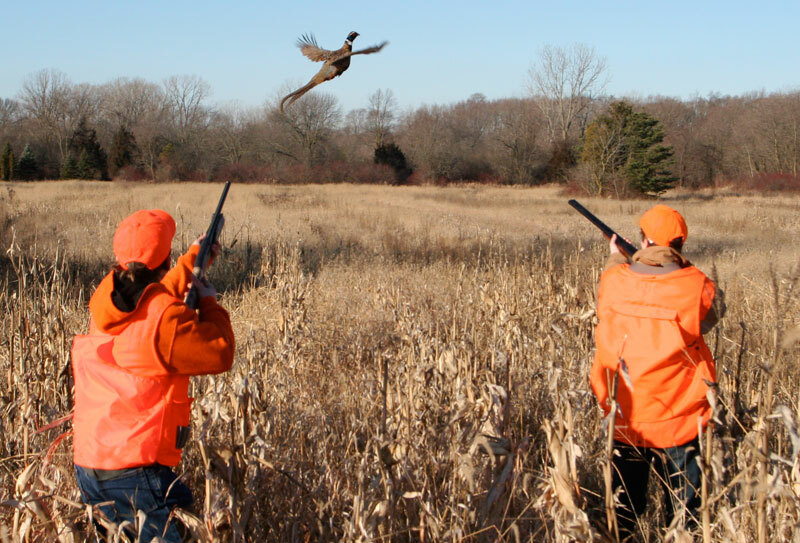 National Hunting and Fishing Day is a day set aside to celebrate all that sportsmen do to support those efforts. This year the National Shooting Sports Foundation once again announces its continued, major sponsorship of National Hunting and Fishing Day. WASHINGTON – April 16, 2013 – In a bipartisan showing, lead co-sponsors Sens. 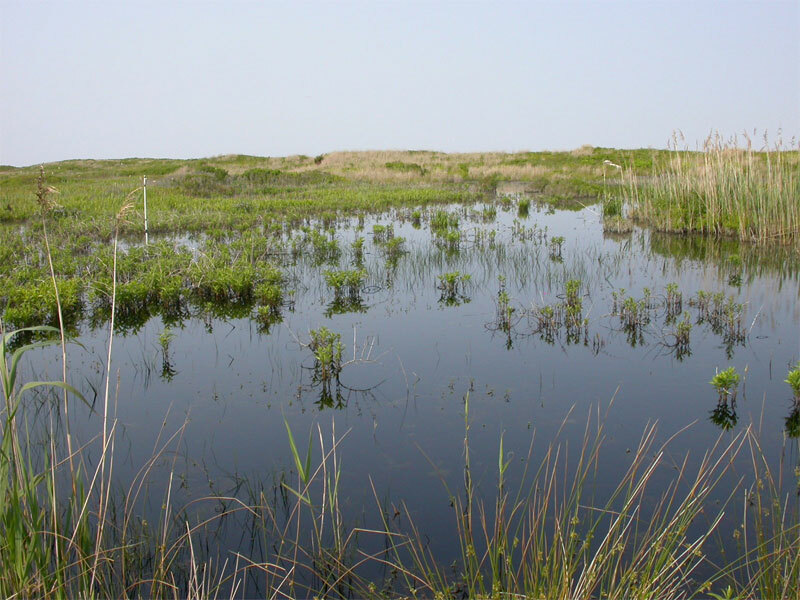 Barbara Boxer (CA) and David Vitter (LA) introduced S. 741 today, asking for the reauthorizations and appropriations of the successful public-private partnerships funded by the North American Wetlands Conservation Act (NAWCA). The bill is a straight reauthorization of NAWCA funding of $75 million through FY17. The submission deadline for the 2013 Illinois U.S. 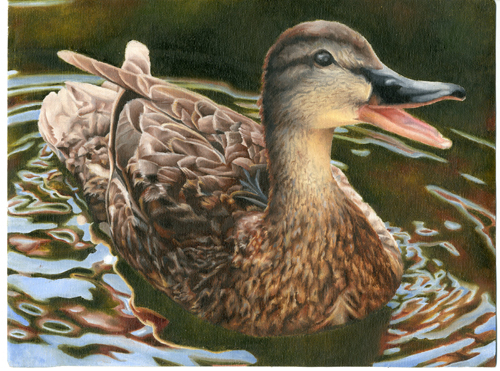 Fish and Wildlife Service Junior Duck Stamp Contest is fast approaching. Administered by the Crab Orchard National Wildlife Refuge, the contest requires entries to be postmarked by March 15, 2013. 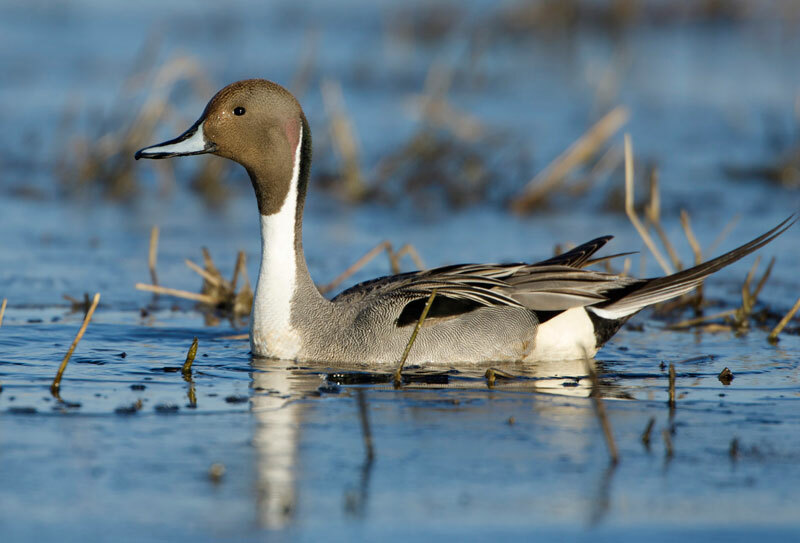 COLUMBUS, OH – The Ohio Department of Natural Resources (ODNR) is requesting the state’s waterfowl hunters provide input on the timing of the 2013-2014 fall waterfowl hunting seasons and the locations where they prefer to hunt. Missouri artist Rebekah Nastav has been named the winner of the 2013 Nevada Duck Stamp Art Contest. 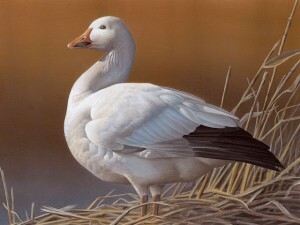 Her winning entry featuring a snow goose standing on the shore will now grace Nevada’s 2013-2014 State Duck Stamp. The contest, sponsored by the Nevada Waterfowl Association and sanctioned by the Nevada Department of Wildlife (NDOW), drew a total of 17 entries from 15 states. All of the winning entries can be viewed on the NDOW website at www.ndow.org/wild/stamp/. The winning entry in the annual art contest was selected by a panel of seven judges including two Nevada Wildlife Commissioners. 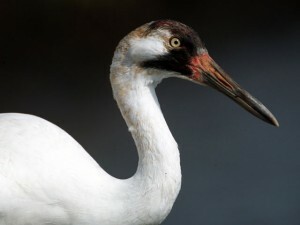 February 1, 2013 – A wetland restoration project completed by USDA’s Natural Resources Conservation Service in Kentucky has attracted the fancy of a pair of endangered whooping cranes. In early November, a pair of whooping cranes was discovered on a property in western Kentucky that was recently restored, with NRCS’ help, to bottomland hardwood wetlands. 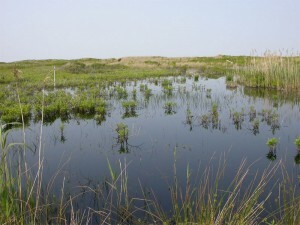 The restoration included tree planting and the creation of shallow water areas for migratory wildlife on nearly 900 acres of former cropland that was put into a conservation easement.